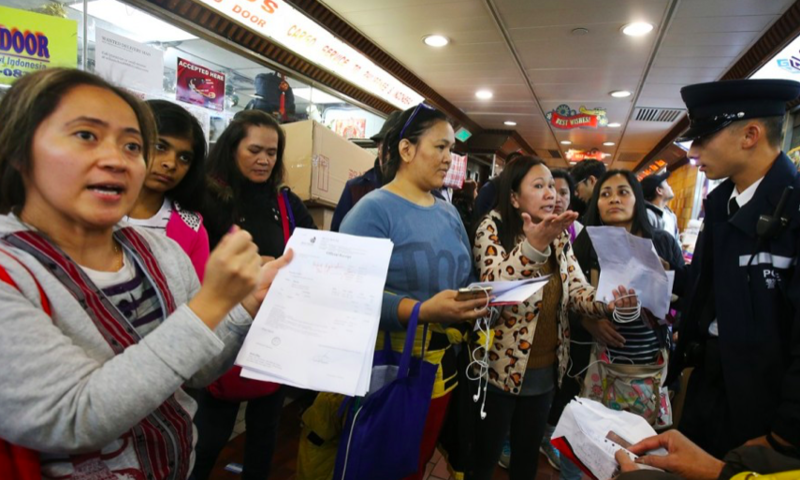 Christmas will be saved for about 1,000 Filipinos stranded in Hong Kong after the government said it would pay for them to get home. As we reported on Wednesday, the workers — many of them poorly paid domestic helpers — were left high and dry after a travel agency failed to pay for their pre-booked tickets. Now, Foreign Affairs Secretary Alan Peter Cayetano has announced that the government will step into the breach. The Philippine Department of Foreign Affairs and the Department of Labor and Employment will split the cost of roundtrip air travel of the affected workers. Mr Cayetano said the country’s Defence Secretary Delfin Lorenzana had also placed the Philippine Air Force on standby in case civilian air services were insufficient. He also instructed the Consulate General in Hong Kong to file criminal charges against Peya Travel, the Filipino-owned travel agency that allegedly defrauded the workers. “We also will pursue a civil suit against PEYA Travel to compensate our kababayans for the damages they suffered,” he said. Affected workers should go through the Philippine Consulate General in Hong Kong to receive a refund for the tickets bought from the travel agency. As we previously reported, Philippine Airlines and Cathay Pacific have offered discounted airfares and will also dispatch larger aircraft to accommodate the stranded workers to ensure they get home for Christmas. Cebu Pacific has also offered 50 complimentary return tickets for the affected Filipinos, who are mostly household service workers. Acting Consul General Roderico Atienza said about 160 stranded workers had approached the Consulate for help, but he expects the number of victims seeking assistance to go up. A Filipino-owned travel agent defrauding Filipinos??? Who would have thought that could ever happen? Hope they all get home safely and the travel agent is severely punished.